Ladies and gentlemen, in today’s post I would like to introduce you to another vital member of my team. Murphy is a 1999 Honda Civic. 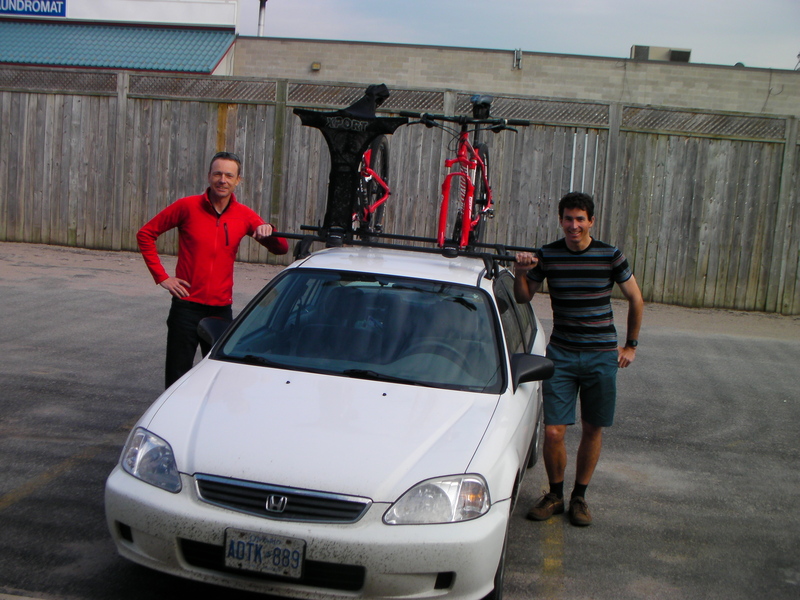 Over the last three years we have spent over 82,000km on the road together. 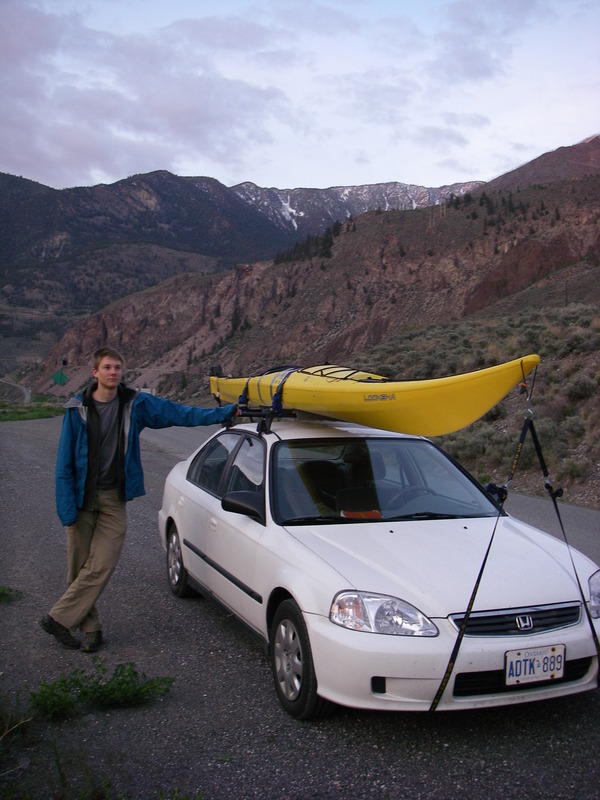 We have been as far west as Ucluelet, Vancouver Island, as far east as La Malbaie, Quebec, and as far north as Prince George, British Columbia, and as far south as Chicago, Illinois (where we got some strange looks due to the bright yellow kayak on the roof). 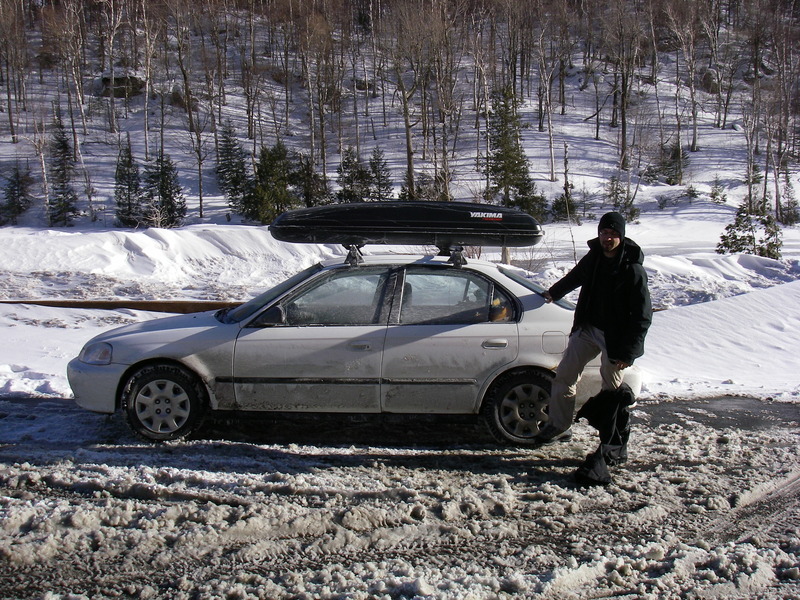 The natural range of the North American Honda Civic. Murphy and Brennan (athlete and training partner extraordinaire) somewhere along the Fraser River Valley near Lillooet, BC. As skiers we are constantly worrying about the availability of natural snow, and the length of the ski season. Therefore, as someone concerned by global warming, it bothers me that my actions reveal me to be a hypocrite – I value the convenience of my car more than the desire to make a significant change in my lifestyle. So I decided to do conduct a quick assessment of how Murphy compares to other cars on the road. I have listed a small selection of cars and their highway fuel economy below. I would have liked to have used L/100km but I took all the numbers from fueleconomy.gov and have presented them without converting units. We aren’t doing much better than three decades ago. I used to believe that a car with manual transmission driven well was more fuel efficient than an automatic – is this no longer the case? The label of “Hybrid” does not necessarily mean that your car is fuel efficient – beware of green-washing in advertising! At what point is it worth getting an inefficient car off the road, given the environmental impact of producing a completely new car? How can we balance our desire for safety (which leads to heavier cars), with the desire for improved fuel economy (the lighter the car, the better). This is especially a problem with so many tractor trailer combinations on our roads – the laws of physics are not on the side of the driver of the aforementioned Chevy Sprint! Let’s hope Murphy can make it through the next 10 months. As bike to work week wraps up in various parts of the world – remember to check your blind-spots and drive carefully when you’re sharing the road with cyclists! Murphy braves temperatures below -20C on an ice climbing excursion. Murphy earns his keep as we head off for a spring paddling run. 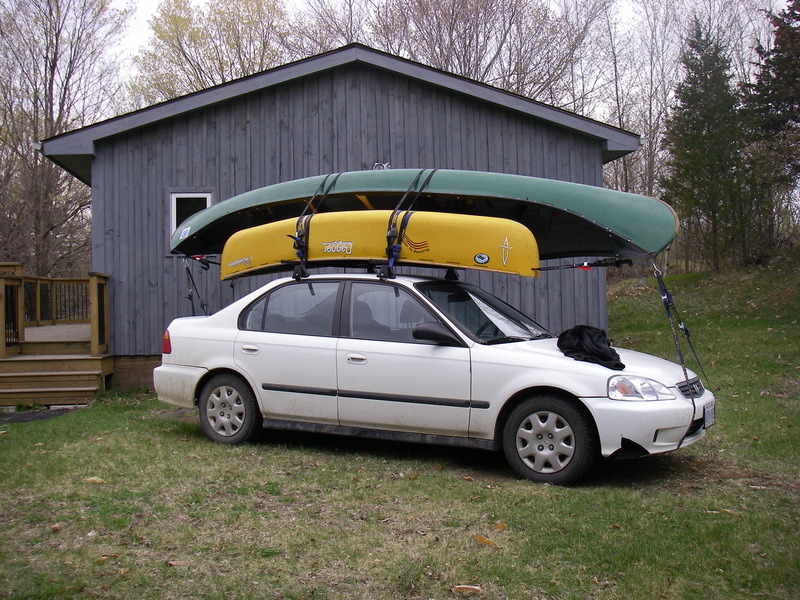 Canoes, kayaks, bikes or skis – Murphy carries them all with ease!